Last year, Accreditation Services International (ASI) discovered that SGS’s certification of Mount Elgon National Park in Uganda was based on hoped for future improvements, rather than what was actually happening in the National Park. ASI, however, failed to take any meaningful action against SGS. FSC certification requires that the company certified complies with FSC’s Principles and Criteria, at the time the certificate is issued. This is fundamental to the credibility of the FSC system. In April 2007, ASI carried out an annual audit of SGS at Mount Elgon in Uganda. Simultaneously, SGS carried out a reassessment of the Ugandan Wildlife Authority-FACE Foundation tree planting project on 25,000 hectares inside the Mount Elgon National Park. The tree planting project was certified in 2002. After SGS arrived in Uganda in April 2007, UWA requested that SGS certify the entire National Park. The area to be certified area shot up from 25,000 hectares to 112,100 hectares. Undaunted, SGS’s team of four people assessed the entire National Park in three days. In December 2006, World Rainforest Movement published a report that I wrote with Timothy Byakola of the Ugandan NGO Climate Development Initiatives about the problems at Mount Elgon. Villagers told us that UWA’s management of the park is brutal. 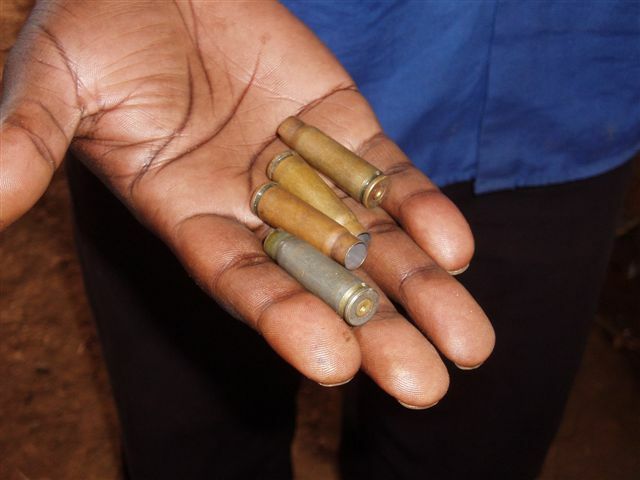 In one village on the boundary of the park, a villager showed us an envelope containing bullet shells, fired by UWA rangers. “The bullets were shot by people trying to kill us,” he said. “Some people have died. Others have been injured.” The FACE Foundation’s carbon offset tree planting is making matters worse for people living around the park. Three months after SGS’s assessment, Stephan Faris, a journalist from Fortune magazine, visited Mount Elgon. He reported serious land rights conflicts around the National Park and found that half-a-million of the FACE Foundation’s trees had been cut down in 2006. Villagers planted the cleared land with maize. In September 2007, I wrote to SGS’s Gerrit Marais to ask him how SGS could issue the certificate given that FSC criterion 2.3 states that “Disputes of substantial magnitude involving a significant number of interests will normally disqualify an operation from being certified”. I sent Marais a link to the Fortune article and asked for his comments. “I am not aware of the article in Fortune,” he replied. The audit at Mount Elgon is actually the fourth time that ASI has noticed that SGS is not complying with FSC rules: “This issue is a recurring nonconformity which has already been pointed out following ASI field surveillance audits in Russia, Poland and Guyana.” But ASI has done nothing to prevent SGS from repeatedly cutting the same corners with FSC’s certification requirements. ASI might have added Spain to the list, given the serious problems with SGS’s certificate awarded to Norfor (which prompted Spanish NGO Asociacion Pola Defensa da Ria (APDR) to issue a formal complaint to FSC against Norfor and ASI). “SGS shall implement appropriate measures to correct the nonconformity detected in this assessment and described above within the given timeline. The measures shall be adequate to correct the current problems and to eliminating causes of nonconformities in order to avoid recurrence,” states ASI’s report on the Mount Elgon audit. This may sound good, but in November 2006, ASI wrote the same thing after auditing SGS’s certification of the Regional Directorate of State Forest in Bialystok in Poland. ASI set a timeline of 5th May 2007 (three months after ASI’s audit was completed) for SGS to implement the “appropriate measures to correct the nonconformity”. At Mount Elgon, ASI found that SGS had failed to take any measures whatsoever, appropriate or otherwise. The FSC certificate of Mount Elgon remains in place. SGS is allowed to continue issuing FSC certificates. Having discovered that one of FSC’s Certifying Bodies is not certifying in accordance with FSC rules on five separate occasions, surely the only sensible course of action is to suspend the certifying body from issuing FSC certificates. Why does ASI not do this? How much more evidence is needed that the certifying bodies have a stranglehold on FSC?